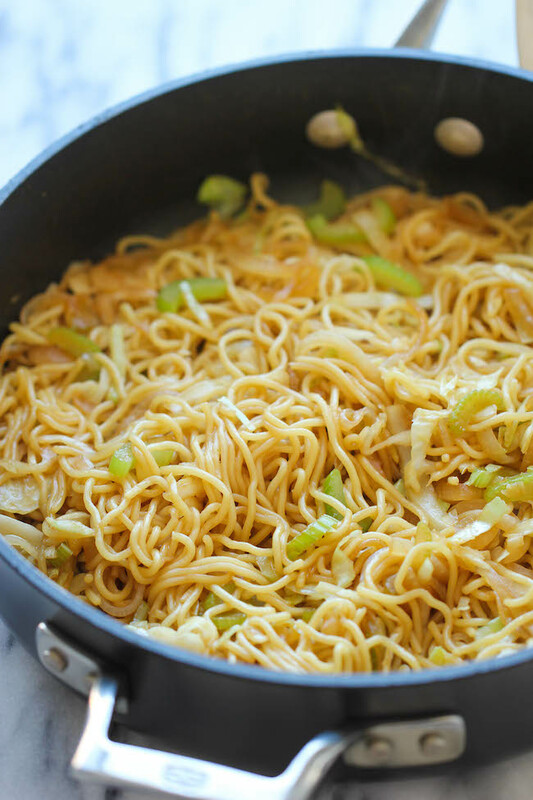 Tastes just like Panda Express except it takes just minutes to whip up and tastes a million times better! I love recreating take-out recipes at home. You know exactly what’s going into your dish, and the homemade version is ALWAYS better without a doubt. And this Panda Express copycat is no exception. Best of all, you can make this in less than 20 minutes! How easy is that? I kid you not. 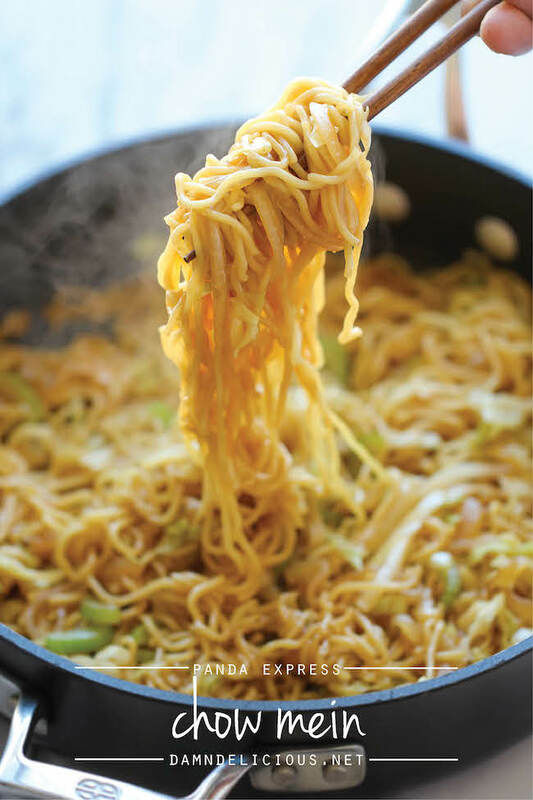 This is one of the easiest recipes I have ever made. It requires such few ingredients and this recipe is practically foolproof. And there really is no comparison to Panda Express because it’s just that much better. We didn’t even have a main dish to pair this with but we still devoured this on its own like there was no tomorrow! In a small bowl, whisk together soy sauce, garlic, brown sugar, ginger and white pepper; set aside. 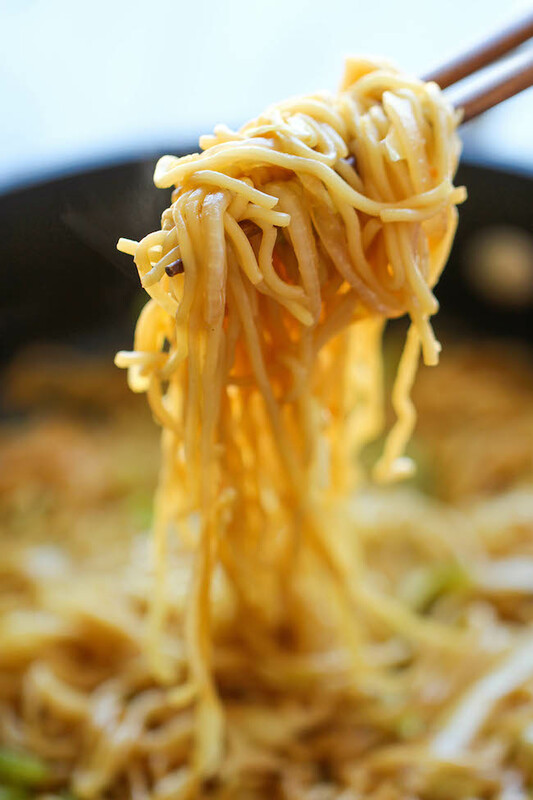 In a large pot of boiling water, add Yaki-Soba until loosened, about 1-2 minutes; drain well. Heat olive oil in a large skillet over medium high heat. Add onion and celery, and cook, stirring often, until tender, about 3-4 minutes. Stir in cabbage until heated through, about 1 minute. Stir in Yaki-Soba and soy sauce mixture until well combined, about 2 minutes.